Canyons Resort is closed for the summer. It will re-open for the winter season on Nov. 28. For more information on Canyons Resort, visit www.thecanyons.com or call 888-CANYONS. Most of Basin Recreation's unpaved trails are dealing with extensive mud right now. Please turn around if you are making ruts. Also, Basin Rec reports that some of the higher elevation trails may be finished for the season. For trail information or maintenance concerns, email Bob Radke at bradke@basinrecreation.org or visit www.basinrecreation.org/trail_conditions.html. Park City Mountain Resort is gearing up for the winter season, targeting and opening date of Nov. 22. Go to http://www.parkcitymountain.com or call 435-649-8111 for more information. Canyons Resort is closed for the summer. It will re-open for the winter season on Nov. 28. 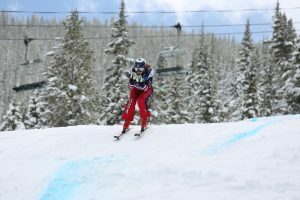 For more information on Canyons Resort, visit http://www.thecanyons.com or call 888-CANYONS. Most of Basin Recreation’s unpaved trails are dealing with extensive mud right now. Please turn around if you are making ruts. Also, Basin Rec reports that some of the higher elevation trails may be finished for the season. For trail information or maintenance concerns, email Bob Radke at bradke@basinrecreation.org or visit http://www.basinrecreation.org/trail_conditions.html.